VIDEO: Pakistani President: Osama Bin Laden: "We Knew He was Your Operator"
Sharing the blame for the economic crisis. Three parts. Still Standin In Beijing! Still Lyin Big In The Apple!! Mete Sozen talks about his Purdue simulation of UA-175. "9/11 Revealed: The New Evidence"
"War and Globalization - The Truth Behind September 11 (9/11)"
Is it different this time? The video is called "Turdblossom Two: Hacking the Machine"
Our first, "Turdblossom's Insider's Guide to Swinging Elections"
the police state, 9/11 Truth and Jesse's TV pilot project. Ben Eadie confirms: Flight 175 "impossible speed"
of September 11, 2001 were a stage event orchestrated by the neocons. Splendid and much resourceful material here. Naomi Klein & Keith Olbermann on "the shock doctrine"
BBC Third Tower Mystery 'solved', Richard Bilton reports. "The US is Not a Republic Anymore"
Helicopter Hit The Pentagon on 9/11? Bugliosi's book, "The Prosecution of George W. Bush for Murder"
An Amazing Coincidence: About "Hannity & Colmes"
Are space-based weapons being used to cut the ice? 9/11 mathematics: What you see is what you get! Jesse Ventura on Larry King Live! Swing Kids "It Starts With Goodbye"
September 11th was an Inside Job! Keith Olbermann | Special Comment on FISA "Veto"
Michelle Obama on "Larry King Live"
Big Easy to Big Empty: What really happened in New Orleans? Attention Democrats: Who'll Stand Up for Working Americans? Attention Democrat Voters: Who's Electable? Faked 9/11 evidence from "Loose Change"
9/11 Truth Panel Discussion: Fetzer, Jamieson, et al. Aviation Reality on 9/11: It had to be an "inside job"
"9/11 and the British Broadcasting Conspiracy"
"9/11 Basic Physics: Why 9/11 is Physically Impossible"
"Top 4 'Unanswered Questions' about the Events of 9/11"
Pentagon Photographs: Where is the plane? It's thermite, thermite, and thermite, again! 9/11:Should the Truth be Revealed or Concealed? 9/11, Shock & Awe: a clip from "HijackingCatastrophe"
Pods/No Pods on United Flight 175? 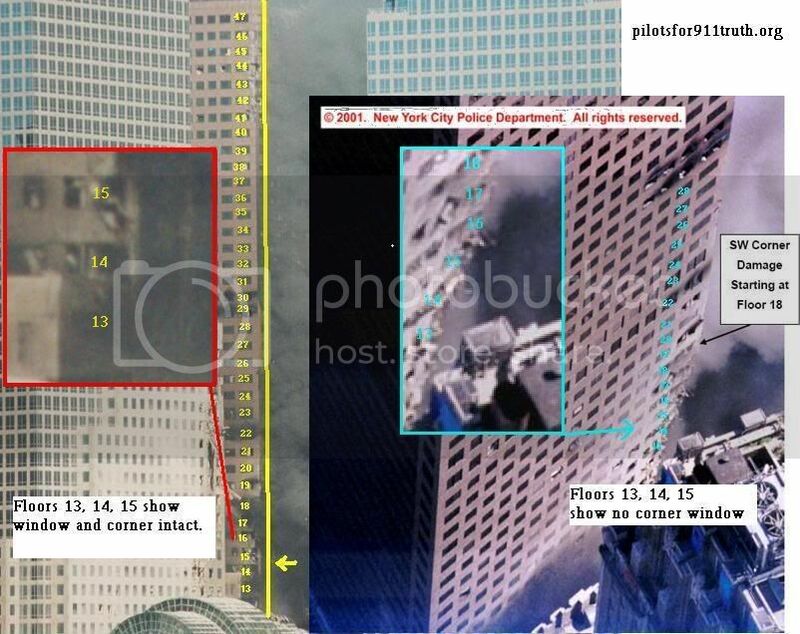 TV Fakery: Was the South Tower crash footage faked? Film Review: "Everybody's Gotta Learn Sometime"
Thierry Meyssan's "Hunt the Boeing"
"Hunt the Boeing II: Shanksville Edition"
An interview with Judy Wood, Ph.D.
Dr. Greg Jenkins' "Directed Debunking Energy"
Why Indeed Must it be Controlled Demolition? An informal critique of Dr. Jones' hypothesis 30 January 2007, "Who"
"A FairyTale from Hell: An Introduction to 9/11"